I’ve decided to write a more in-depth explanation for Creating Custom Pattern, hope this will clear some clouds for those who want to create their own custom pattern. Custom patterns are all about creativity. Once you’ve got the logic of out it, it’s up to you to experiment and create your very own custom pattern and use it whenever applicable. Here’s a simple button with Custom Pattern background. 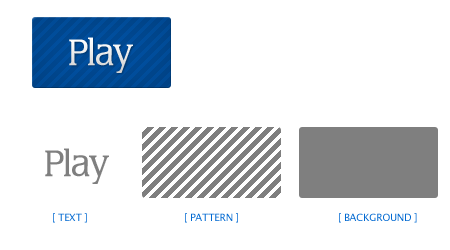 It’s made up of Text, Custom pattern and a solid color background. [Source attached]. Our focus here is on the Custom Pattern. This final custom pattern (image below) came from..
.. this raw custom pattern (image below). Let’s zoom this 1600% and see at how it was originally formed. 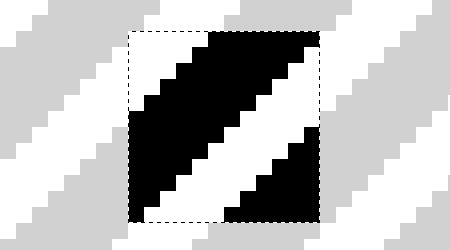 Custom patterns are usually made up of one single small image (image below) that I usually call the Repeater. When this Repeater duplicate itself, it forms a pattern (image below). 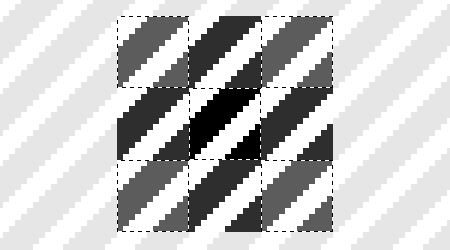 Take a look at the image below, when a single Repeater duplicates its surrounding it forms a small slanting pattern. And when this small pattern repeats itself, this (image below) is what you will be in final. In the end, its your Repeater that gives you your custom pattern. Determining a Repeater that duplicates flawlessly can be hard sometimes. Keep experimenting with it, once you’ve got the flow you might just came out with some nice looking custom patterns. 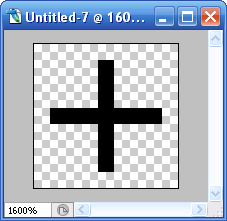 Create a small canvas, 9x9px, 3x3px, 8x8px, etc. Draw some patterns on it. Save it with a simple filename, say "cp.gif"
Launch a notepad, and insert these following codes. 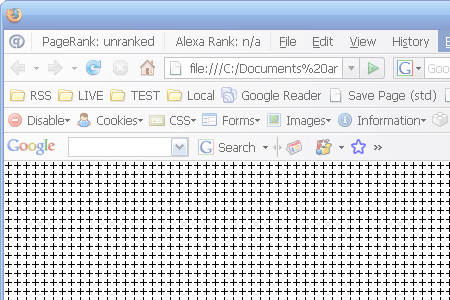 Launch a browser, open test-cp.html and preview your pattern.